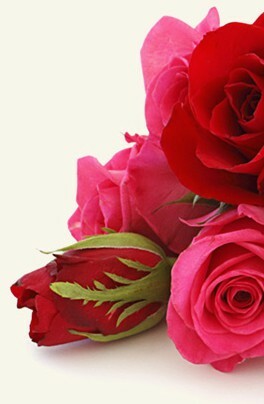 Login to my flower4india.com/hyderabad account to track the status of your order or visit our customer service page. 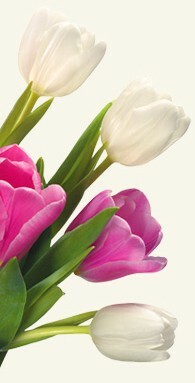 Login to my flower4india.com/hyderabad account to modify your order or visit our customer service page. All changes must be 24 hours before delivery. After that time, we cannot guarantee there will be enough time for the changes you request. At Flowers for India we only use the very best in security for our online payments. We use PayPal for our online payments and as one of the largest payment processors in the world their security is top notch. flower4india.com/hyderabad keeps customer information completely confidential. Our company does not share customers' personal information for third-party use or sell it to advertising agencies. In the event of a legal requirement, fraud, or law-enforcement request, your personal information may be shared upon request from the relevant authorities. The delivery costs are: Agra 10.00 USD, Ahmedabad 10.00 USD, Ajmer 10.00 USD, Aligarh 10.00 USD, Amravati 10.00 USD, Amritsar 10.00 USD, Asansol 10.00 USD, Aurangabad 10.00 USD, Bangalore Banglaore 10.00 USD, Belgaum 10.00 USD, Bhavnagar 10.00 USD, Bhilai Nagar 10.00 USD, Bhiwandi 10.00 USD, Bhopal 10.00 USD, Bhubaneswar 10.00 USD, Bikaner 10.00 USD, Chandigarh 10.00 USD, Chennai 10.00 USD, Coimbatore 10.00 USD, Cuttack 10.00 USD, Dehradun 10.00 USD, Delhi 10.00 USD, Durgapur 10.00 USD, Faridabad 10.00 USD, Firozabad 10.00 USD, Gaya 10.00 USD, Ghaziabad Ghazibad 10.00 USD, Guntur 10.00 USD, Gurgaon 10.00 USD, Guwahati 10.00 USD, Gwalior 10.00 USD, Hyderabad 10.00 USD, Indore 10.00 USD, Jabalpur 10.00 USD, Jaipur 10.00 USD, Jalandhar 10.00 USD, Jalgaon 10.00 USD, Jammu 10.00 USD, Jamshedpur 10.00 USD, Jhansi 10.00 USD, Jodhpur 10.00 USD, Kalyan & Dombivali 10.00 USD, Kanpur 10.00 USD, Kochi 10.00 USD, Kolapur 10.00 USD, Kolkata 10.00 USD, Lucknow 10.00 USD, Ludhiana 10.00 USD, Madurai 10.00 USD, Mangalore 10.00 USD, Moradabad 10.00 USD, Mumbai 10.00 USD, Mysore 10.00 USD, Nagpur 10.00 USD, Navi Mumbai 10.00 USD, Nellore 10.00 USD, New Delhi 10.00 USD, Noida 10.00 USD, Pune 10.00 USD, Raipur 10.00 USD, Rajkot 10.00 USD, Ranchi 10.00 USD, Saharanpur 10.00 USD, Silliguri 10.00 USD, Srinagar 10.00 USD, Surat 10.00 USD, Thane 10.00 USD, Udaipur 10.00 USD, Varanasi 10.00 USD, Vijayawada 10.00 USD and Visakhapatnam 10.00 USD. How do I contact flower4india.com/hyderabad customer service if there is a problem? Use my flower4india.com/hyderabad account to access your account and contact customer service. Alternatively, call our customer service department.